Rose A. (DeFaveri) Rega, 95, of Allentown, passed away October 23, 2018. She was the loving wife of the late Peter Rega. Born in Allentown, she was the daughter of the late Victor and Victoria (Kondua) DeFaveri. Rose retired from Worth Manufacturing after 23 years of service. She was a member of the former Our Lady of Mt. Carmel Catholic Church. Survivors: daughters- Regina Ross, Johnna Yurick wife of Robert; son- Ronald Rega and 2 grandchildren- Emily and Nicholas. She was predeceased by her sister- Ida Piovesan and brother- John DeFaveri. A viewing will be held Saturday, October 27th 9-10AM with a Service at 10AM in Kohut Funeral Home, Inc. 950 N. Front St. Allentown, PA 18102. Burial to follow in Our Lady of Mt. Carmel Cemetery, Whitehall. Contributions can be made in Rose’s memory to the American Heart Association c/o Kohut Funeral Home. Craig R. Roesser, 68, of Whitehall, passed away May 1, 2018. He was the loving husband of Donna M. (Parastino) Roesser. Born in Allentown, he was the son of the late Frances (Reinhard) and Richard Roesser, Sr. He received his Bachelor’s Degree from Heidelberg College in Tiffin, OH. Craig worked previously for Mack Trucks, where he received the Automotive Industry Action Group Outstanding Achievement Award in 1989. He then worked as an Environmental Health & Safety Manager for Continental Automotive until his retirement in 2016. Craig was a member of the Greenleaf Lodge #561 F & AM. He was also active in the Mack Engineering Golf League, the Cross Keys Social Club in Allentown and the Mountainville Fire Company’s Villanova Club. Survivors: wife- Donna M. Roesser; brother- Richard and wife Andrea Roesser; brother-in-law- Dennis Parastino and wife Julie; nieces- Jennifer Rumore and Kathryn Parastino; nephews- Ryan Roesser and Matthew Parastino; great nieces- Gianna and Mia Rumore. A viewing will be held on Monday, May 7th 9-10:30AM with a Service at 10:30AM in Kohut Funeral Home, Inc. 950 N. Front St. Allentown, PA 18102. Burial to follow in Cedar Hill Memorial Park. In lieu of flowers, contributions can be made in Craig’s memory to The Children's Hospital of Philadelphia Foundation P.O. Box 781352 Philadelphia, PA 19178. Mary A. (Novak) Reiter, 90, of Allentown, passed away December 20, 2017. She was the loving wife of the late Joseph Reiter. Born in Allentown, she was the daughter of the late Stephen and Katherine (Hlatky) Novak. She retired from Western Electric after 19 years of service. Mary was a member of St. John the Baptist Slovak Catholic Church. She enjoyed gardening and taking care of her grandchildren. Survivors: sons- Joseph and wife Patricia of New Tripoli, Stephen and wife Gloria of Fogelsville, Edward and wife Ann of New Tripoli, Michael and wife Brenda of Coplay; 5 Grandchildren; 7 Great Grandchildren; sister- Helen Pidstawski of Allentown. She was predeceased by 5 siblings. A viewing will be held Saturday, Dec 23rd, 8:30-9:30AM in Kohut Funeral Home, Inc. 950 N. Front St. Allentown, PA 18102. Mass of Christian Burial to follow Saturday at 10AM in St. John the Baptist Slovak Catholic Church 924 N. Front St. Allentown, PA 18102. Burial to follow in Resurrection Cemetery, Wescosville. Erminia "Mimi" (Ditria) Romanyshyn, 85, of Allentown, passed away November 4, 2017. 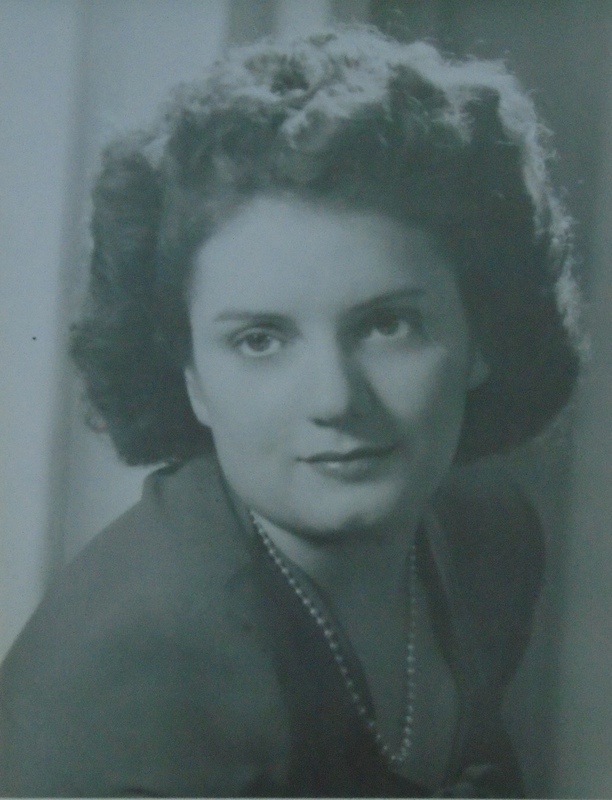 She was the loving wife of the late Petro Romanyshyn. Born in Allentown, she was the daughter of the late Orazio Mario and Emma V. (Unger) Ditria. She worked as a sewing machine operator for 42 years. She was a member of the former St. Mary's Ukrainian Catholic Church in Allentown. Mimi loved international music, to play the guitar, cook and had a love for animals, especially horses, elephants, dogs and cats. She had taught herself to speak Spanish and to read, write and speak Ukrainian. Mimi's family would like to send a special "Thank you" to Lehigh Valley Hospice and family friend- Debbie Zawadski for their continuous care and compassion shown to Mimi. Survivors: daughter- Nadine Romanyshyn of Allentown; sister-in-law- Nancy Ditria; niece- Candice (Ditria) Rosazza wife of Gary; many nieces and nephews; dog- Aaron and cat- Lucy. She was predeceased by her daughter- Patricia Romanyshyn, son- Thomas P. Romanyshyn, brother- Joseph Ditria and pets- Princess, Sputnik, Ginger and Ellie. Services: A viewing will be held Wednesday 6-8PM and Thursday 9-10AM with a Panachyda to follow at 10AM in Kohut Funeral Home, Inc. 950 N. Front St. Allentown, PA 18102. Burial will follow in St. John the Baptist Ukrainian Catholic Cemetery, Northampton. Peacefully Josephine T. (Sarmir) Rudakewiz alighted into God’s hands July 15th 2017, in Sun City, AZ. A longtime resident of Allentown and devoted mother, she was predeceased by her son, Thomas and is survived by her daughters Livia and Mary Jane. Relatives and friends are invited to her funeral mass and internment which will be held on Friday September 1, 2017 at St. John the Baptist Church, 924 N Front St, Allentown, PA. Visit with the family at 10:30 am with funeral mass at 11:00am. In lieu of flowers memorial contributions to Sun City Meals on Wheels, PO Box 1842, Sun City, AZ 85372 would be appreciated by the family. 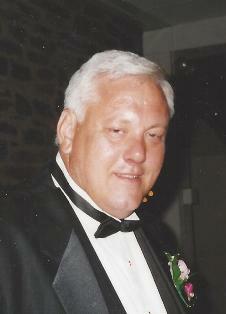 Ronald W. Rudakewiz, 66, formerly of Hatfield, PA, passed away June 27, 2017 in Venice, Florida. Born in Allentown, he was the son of the late Russell and Elizabeth Rudakewiz. Ron worked as a Pharmacist during his life. He is survived by his daughter- Coby Rudakewiz of Hummelstown, PA; brother- James Rudakewiz and his wife Marianne of Gibsonia, PA.
A graveside service will be held on Saturday, Sept. 2nd at 11AM in Resurrection Cemetery 547 Krocks Rd Allentown, PA 18106. Arrangements c/o Kohut Funeral Home, Inc. In lieu of flowers, contributions can be made in Ron’s memory to the Juvenile Diabetes Research Foundation 26 Broadway, 14th Floor New York, NY 10004. 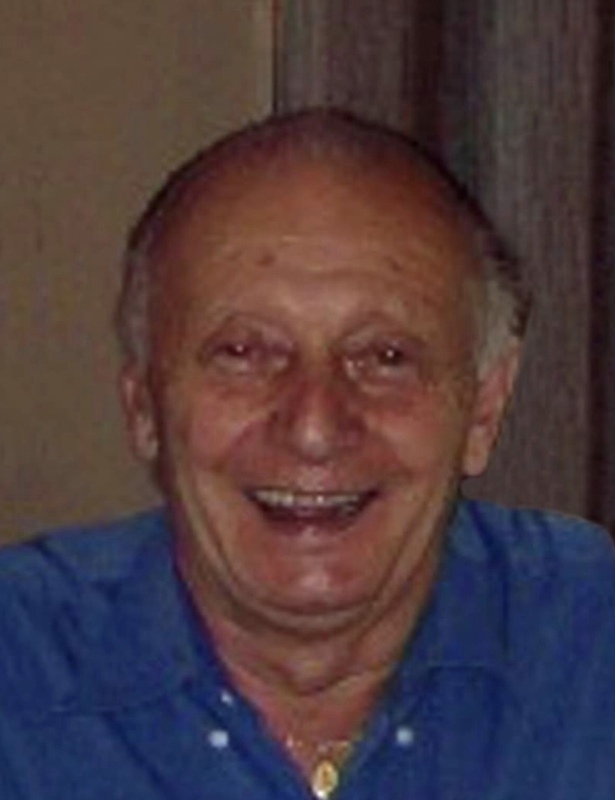 Wasyl Romanyshyn, 85, of Allentown, passed away October 25, 2016. He was a loving husband to the late Grace G. (Stein) Romanyshyn. Born in Ukraine, he was the son of the late Paul and Maria (Bajuk) Romanyshyn. He enjoyed playing soccer when he was young. Wasyl retired from Lehigh Structural Steel. He was a member of St. Josaphat Ukrainian Catholic Church and was also a member of many local social halls. Children- William and wife Sandra of Egypt, Rosemarie and husband James Meleta of Coplay, Susan Smith of Allentown; Grandchildren- Matthew, David, Andrew, Mark, Megan, Katie, Julie and Jennifer; Great Grandson- Brock; Sister- Vera Fedorkiw; Brother- Roman Romanyshyn. He was predeceased by sister- Anna Kaczmar and brothers- Myron and Peter Romanyshyn. A viewing will be held Sunday 6-8PM with Parastas at 7PM in Kohut Funeral Home, Inc. 950 N. Front St. Allentown. A Funeral Service will be celebrated Monday at 10AM with a viewing 9-9:45AM all in St. Josaphat Ukrainian Catholic Church 1826 Kenmore Ave Bethlehem. Burial to follow in St. John the Baptist Ukrainian Catholic Cemetery, Northampton. In lieu of flowers, contributions can be made in Wasyl’s memory to the church or to USO care of the funeral home. 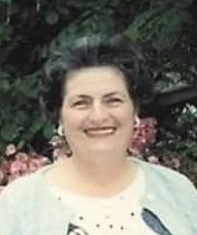 Carole Ann (Morganstern) Regec, 76, passed away August 16, 2015. Born on Oct 31, 1938 in Allentown, she lived and died in her home with her family in Coopersburg PA. Carole was married to Michael Regec for 58 years and had 4 amazing boys together. Carole was the daughter of the late Ester Morganstern, and sister to Helen Snyder and the late Virginia Whitford. Carole was a former beloved employee of Good Shepherd of Allentown. She was a passionate dog lover, raising many different breeds and leaving behind one of her favorites, Katie. Survivors: Loving Husband- Michael Regec; Sons- Michael Regec and late wife Deborah, Christopher and wife Michelle, Daniel deceased and David and wife Helena; Grandchildren- Joshua, Christopher, Jennifer and Leo Regec. Services will be private at Carole’s request; she would like everyone to remember her in a healthy, loving way. In lieu of flowers, please make a donation to either Animals in Distress or to VNA Hospice of St. Lukes.